Calculate and determine value on your business or that of a prospective business up for sale. Valuations can be used in divorce cases, trust valuation, purchase / sell contracts and many more situations. Modelling of financial statements and cash flow projections using the Cash Flow forecaster. Provide what- if scenario analysis to determine impact on cash flows. Suitable for both start – up and existing businesses. Attendance of client’s quarterly or monthly leadership meetings to provide financial and tax coaching and input on challenges the team may be facing. An experienced team of professionals who ensure delivery of agreed objectives. 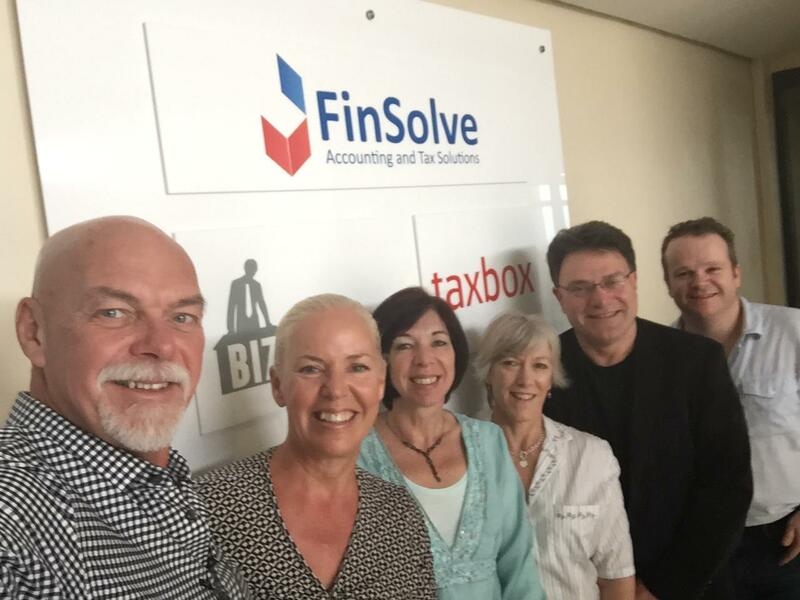 Finsolve Accounting & Tax Solutions, incorporated within the Finsolve Group, provides financial & tax and training services to clients in the business environment nationally. The business practice is focused on providing superior value for money, and promotes quick but professional solutions and services to the client. Our stance is one of under promising and over delivering, with our key difference being that of empowerment, and by assisting business owners and personnel with understanding their financial and tax affairs better through our training division, Biz Facility. The practice provides services to clients nationally. 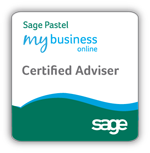 All our accountants and bookkeepers are certified practitioners. We utilise all major accounting software packages including Pastel and QuickBooks. That is amazing! Thank you all so much for your great service and care, I really appreciate it. You are on the ball! I remain truly impressed with Finsolve and their efficient team. 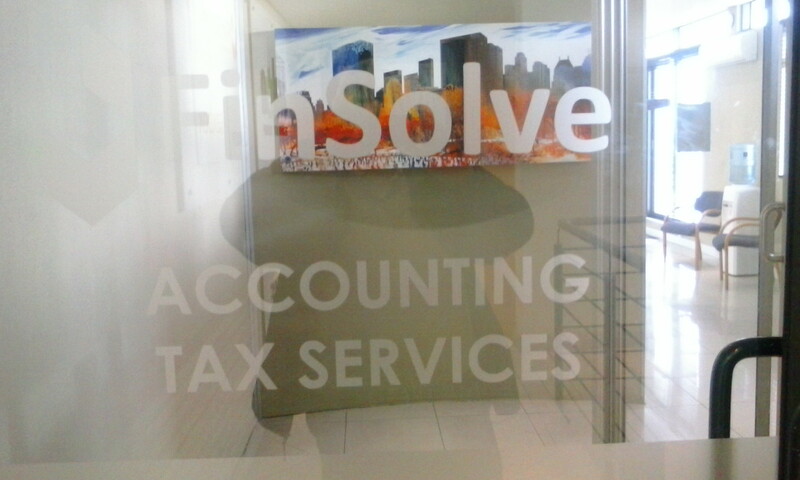 Finsolve have been my accountants for some time now and I have really enjoyed working with them. They explain complex accounting matters with patience and in a way that I can understand, their response time is incredible and I love the way that I am not billed for every question I ask. They are quite unlike any accounting firm I have ever worked with (and Wren has had three!). My hope is that this positive experience will continue with them managing our Collective Shop accounts. Gavin is the company’s director and one of my favourite things about this company is that he is always reachable and knows what is going on - even with a small company like mine. Melanie is fab and a pleasure to deal with she’s extremely efficient and always polite and professional. MobiTel-SA Consulting & Resourcing (Pty) Ltd. Thanks a million for your quick responses always. When one works with people in other organisations and you battle to get a response it is so refreshing to work with you. 4 Every Event and Unbridled owe you for making my life so much easier since you came on board with us. Just to confirm with you that the amount has been paid to me by SARS. Thank you very much once again Jacqueline for consistently amazing service. Thank you so much for taking the time to come and speak to John and I and for all the information and advice which you gave us. We both found the evening to be incredibly productive and informative. It gave us a real clarity of thought on how we should deal with things. Many many thanks for the most unbelievable news so soon after having filed the objection. We feel so very relieved about our whole situation and thank you for your amazing professionalism and all your supportive help. We really look forward to our future with you! Thank you for a smooth audit and care for my books. Much appreciated. What a privilege to have someone professional to attend to these necessities. Sorry for the delay I had the documents with me. It is already such a pleasure dealing with a company that offers this level of service as I’m currently experiencing quite the opposite on a separate front. I really do look forward to working with all of you and I hope that it will be a long and fruitful relationship. After sitting on the fence and observing the ping pong emails I feel that expressing some gratitude is highly due. All I see is great team work and a huge amount of efficiency from both teams. Just a small thanks to all involved and personally my experience with Finsolve has been a pleasurable and wonderful one. Pleasure, you guys really do FANTASTIC WORK…. Thank you so much for all your help. You have provided an excellent service and I look forward to working with you again in the near future. I will action payment soonest. he has an amazing team to help him grow his client base. Just want to thank you all for all your efforts and hard work. Many thanks for the documents which you sent. You are most definitely a subject matter expert which has assisted us all in getting a much clearer understanding. Many thanks for all the good work. Great to be up to date! We do not know how to thank you enough for everything that you all have done. We have really not felt this kind of a relief for a long time. You are truly wonderful. We will await the outcomes patiently and happily and will do everything that is necessary. Payment will be made today. Gavin always has his clients best interest in mind, his attention to customer service is second to none. I would highly recommend his services to anyone. Thank you so much for bailing us out with all of this admin! I have to compliment yourself and your company with the excellent service we have received. You guys have gone above and beyond to assist us and getting everything compliant and up to date. I am excited to keep working with yourself the entrie team at Finsolve! Ken and I just want to say thank-you once again for keeping all our affairs in order. It was such a relief to know that our current personal Tax returns were in place, on time. One less thing to worry about so that we can focus on building our businesses to the next level. Thank you for all the work that you have done so far, I have really enjoyed the efficiency and ease of working with Finsolve. Melanie and your team, that is awesome news. Thanks to everyone for all the hard working during the year to ensure that the FY end processes and independent review went so smoothly. Mosaic Manufacturing with your brands in mind. 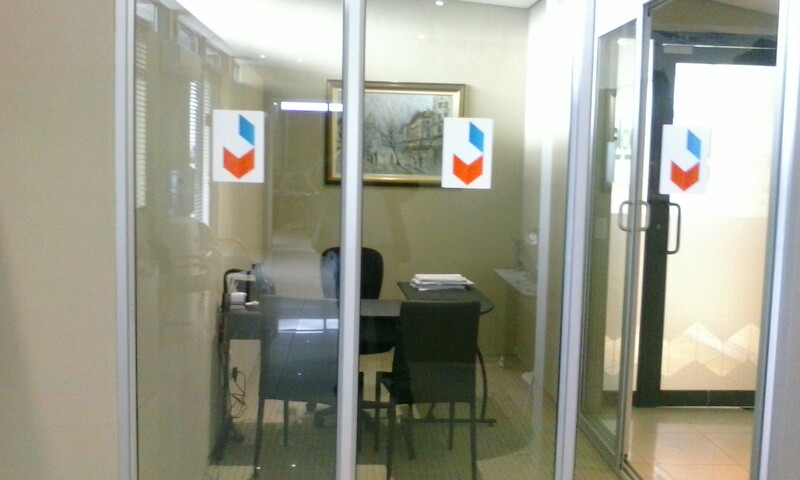 NETZSCH Southern Africa want you to know that we are very pleased with the quality of service Finsolve provides. Most of all we want to express thanks to you and Marie for your responsiveness and the way you conduct business. NSA is looking forward to doing business with you for years to come. I must commend this organisation for their efficiency, updates and excellence client service. Thank you SO much for the great work. I will certainly utilise your service again and will be sure to refer you to business colleagues as well. Will add a Linked In update referring you to my entire database, many of whom are business owners. Thank you both for teaching me so much the other day, really helps to get a bigger picture and finer details and you both explained so well too. Very happy to have found your team. Thanks Gavin, will do. “John” often asks us to dig a trench, but very often all we have to do it with is a teaspoon. Thanks for the “bulldozer”, it will finish the job off nicely thank you. We have had another request from an interested buyer this morning, but he only has a budget of R20m so not sure if it’s worth it, but at least now we have the proper tools if the right guy comes along. Thank you. You have (I’m sure another) very happy customer who’s happy to pass the referral on. Just want to say a massive THANK YOU for the quick turnaround on my VAT application. If we had this kind of service everywhere else, this world would definitely be a better place. Please let me know when you have time to discuss the way forward with Coastline Logistics as we would like to develop a long term relationship with your company. This is just a quick note to say "Thank you". I cannot tell you how wonderful my experience has been working with the two of you this past month in comparison to how I have worked with my previous accounting and tax consultants. Your are clear in your questions and explanations, super quick in getting back to me and friendly when explaining something that I do not understand. I am full of praise and look forward to working with you and finsolve in the future. Your !awesome! service is GREATLY appreciated and noted. ? You have a great team. Thank you for your great service! 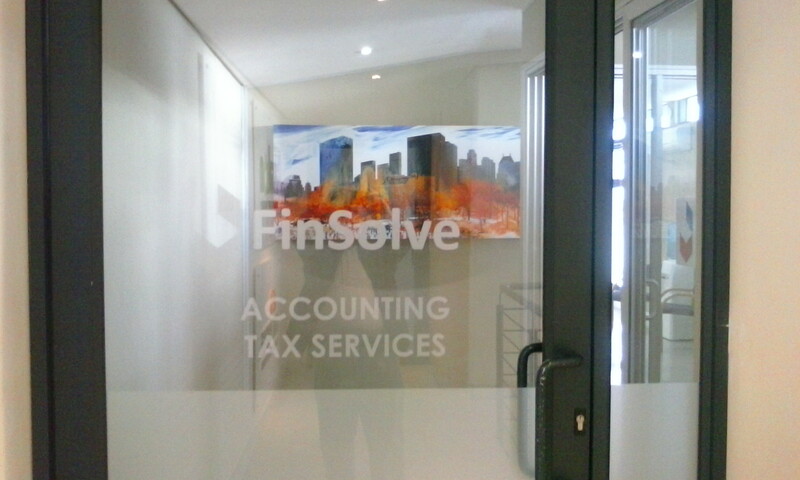 It is a pleasure working with Finsolve. Thanks to our great team at Finsolve for keeping all our businesses up to date and in compliance! Thanks Gavin, Melanie, Kathy and Gert-you guys rock! SAIPA Certified Independent Review Practitioner. © 2017 Finsolve Solutions. All Rights Reserved.